Experienced trial attorney Jim Miron focuses on his passion: helping personal injury victims obtain the justice and maximum compensation they deserve. He knows the keys to his record of proven success lie in hard work, meticulous preparation and personal attention to each and every case. If you, or a loved one, have been hurt because of someone else’s careless, reckless or negligent behavior, attorney Jim Miron wants to hear your story. Call 203-339-5991 for a complimentary consultation. Jim welcomes clients from across Connecticut including the Greater Bridgeport, New Haven, Stamford, and Waterbury communities. Attorney Jim Miron began his career in the United States Army, serving as a Paratrooper in the 82nd Airborne division and later with the 2nd Infantry Division in the Republic of Korea. He reached the rank of Sergeant and was honorably discharged from active duty before returning home to attend college and law school. 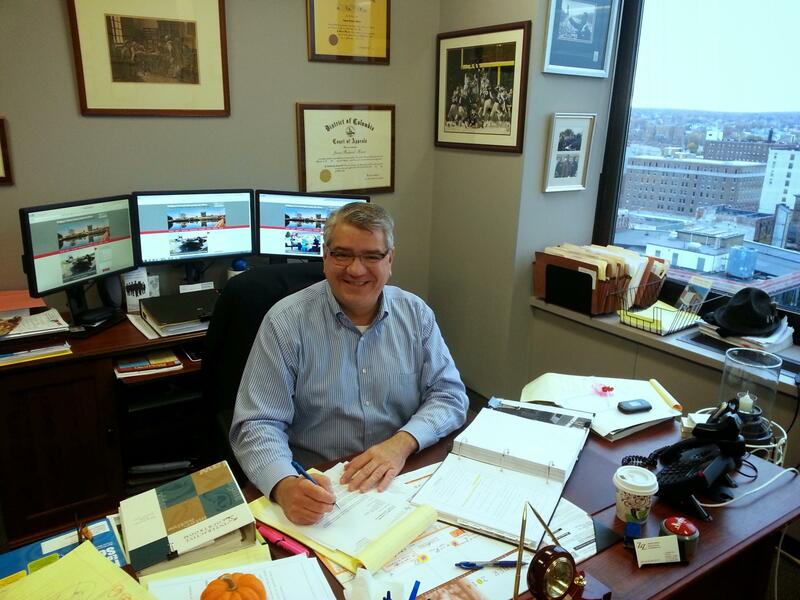 Upon earning his law degree, Jim established his own practice in his hometown of Stratford. After many years in private practice, he won a historical election as the first mayor of Stratford, Connecticut. He proudly held this position for four years where he was successful in controlling taxes, increasing the bond rating, delivering budget surpluses, protecting the environment, driving economic development, preserving and repairing infrastructure, and advocating for the arts. Today, Jim leads the personal injury department of Zeisler & Zeisler P.C. He is a member of The National Trial Lawyers Top 100 and The Motor Vehicle Trial Lawyers Top 25. He is admitted to practice law in Connecticut, The Mashantucket Pequot Tribal Court, the District of Columbia and Florida. Over the course of his legal career, he has helped his clients attain millions of dollars in combined verdicts and settlements. If you or someone you love was harmed because of the carelessness, neglect or recklessness of someone else, you are likely in pain, confused, upset and uncertain about the future. Recovering from an injury can be a traumatic experience; Jim is committed to protecting your best interests and helping you through this difficult time. Experience: Jim has been successfully fighting on behalf of injury victims for over two decades. Whether in a courtroom or at a negotiating table, he knows how to effectively build your most compelling case. Integrity: Trust isn’t simply given; it’s earned. Jim’s client relations are based on clear, honest interactions. He’ll listen closely to the details of your situation and set realistic expectations. Communication: Jim will keep you updated on new developments and inform you about your case each step of the way. He makes it a priority to return your calls, emails and text messages promptly. Tenacity: With decades of legal and political experience under his belt, Jim won’t be intimidated by large insurance companies or aggressive attorneys. Whether litigating in a courtroom or negotiating at a conference table, he’ll always protect your best interests. Jim never backs down from a fight. Your personal injury claim is about more than just a monetary award; it’s about ensuring that you and your family are protected after your injury. It’s about making sure you can cover your bills and secure your family’s future. However, your case matters to the community, too. By holding negligent parties accountable, you are helping to enforce the laws that protect our families, friends and neighbors. Holding wrongdoers responsible for their actions to benefit the safety of our community is a driving force behind Jim’s dedication to justice. This is just a sample of the types of cases Jim handles. To see a complete overview, including a variety of commercial litigation and bankruptcy services provided by Jim’s partners, please visit his Practice Areas page. As a United States Army veteran and former mayor, it is clear that civic involvement is in Jim’s blood. As Mayor, he established a charity golf tournament which continues to run today. The annual event has raised tens of thousands of dollars in support of organizations throughout Connecticut. Today, Jim is a volunteer with the Connecticut Veterans’ Legal Center, and serves on the NAACP’s legal redress committee. Jim also personally supports a number of organizations that benefit veterans, protect the environment, and serve the local community. If you are looking for a qualified personal injury lawyer you can trust, attorney Jim Miron has the experience, skill and proven record of success you can depend on to present your strongest case. Call 203-339-5991 now for a complimentary initial consultation. Jim proudly serves clients from across Connecticut including the Greater Bridgeport, New Haven, Stamford, and Waterbury communities.